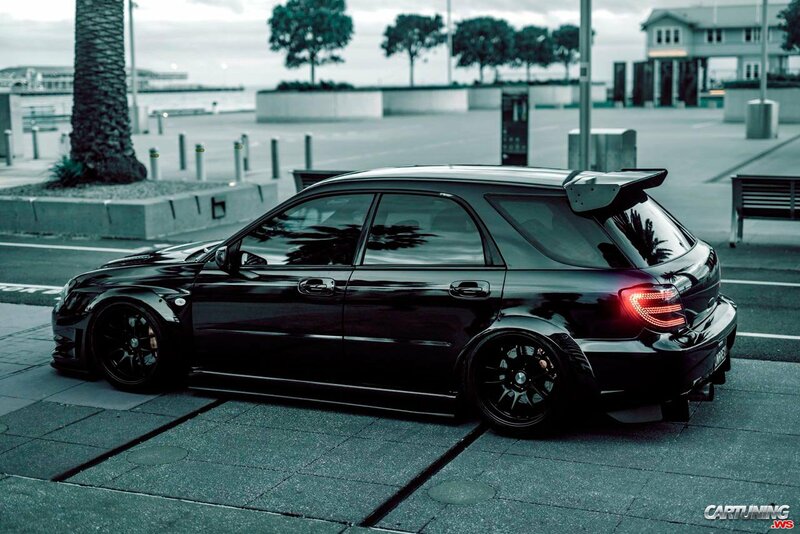 Black wagon GG from Australia. Tinted windows, wide black wheels covered by plastic fenders, splitters and rear spoiler, additional holes in the hood. Car is almost fully black.